Healing is an automatic function of the body and mind. During the past 24 years of providing hypnotherapy and alternative methods of healing, I have had a wonderful opportunity to explore the realms of hypnosis and the tools of the mind. One of the most profound and life-changing experiences I’ve had was while developing my Natural Birth Hypnosis Center. I created a program that put the principles of mind-body communication on the line by teaching couples how to have a natural birth, free from discomfort. The success of the techniques was featured on national television, since it was such a wonderful, completely pain-free birth experience. Not even an aspirin was needed. Hypnosis is a way to open the door to the subconscious mind, where all of our life events are stored and encoded. This includes our belief patterns, perceptions, habits, emotions, traumas and inner personalities. Each moment of life, like the one you are experiencing now, has many influences of input into what you perceive as an experience. All of your human senses are involved in such a way that in this moment what you hear, see, feel, taste, smell and perceive are being encoded into your “life information system,” the effects of which will influence your future remembrance of what you just experienced, and filter what you recall from the past. In every moment of life, the stream of information builds upon itself. Mind and body are one information system. Imagine for a moment that you are picking up a slice of lemon, placing it in your mouth, and focusing on the taste. The experience should be one that your mouth is salivating, and the muscles in your jaw tense. One person may really enjoy the taste, as it may trigger a favorable memory of the glass of lemonade enjoyed last summer, while another person may dislike it. This is just an example of how an imagined experience can create a real effect in the body. Hypnosis is a tool that allows us to access our “life information system.” Once tapped, the subconscious mind can be directed to reorganize, heal trauma, create wisdom and neutralize self-limiting beliefs and habits. We offer the mind experience, a new way to preserve the wisdom of learning and resolve symptoms. The mind can now receive the future positive directives that will process and enhance life’s experiences. The inner mind does not analyze what is held within it, but rather, it virtually takes what is held there and creates reality. Hypnosis can transform self-limiting beliefs and negative emotions. In my opinion, a new era of healing is about to unfold. Human beings will begin to use their capacity to affect healing and create balance within themselves. Powerful new tools of healing have evolved in such a way that we can now communicate with the autonomic functions of our body. This ability allows us to communicate with nature’s pharmacy and healing intelligence. The new frontiers of healing will balance and return positive communication to the systems of healing. The field of hypnosis itself has been evolving to incorporate new methods of mind-body communication. The National Guild of Hypnotists has expanded its training courses to include NLP, Thought Field Therapy, and methods of facilitating healing at the level of super-consciousness. Gary Dallek and Carolle Jean-Murat, M.D. 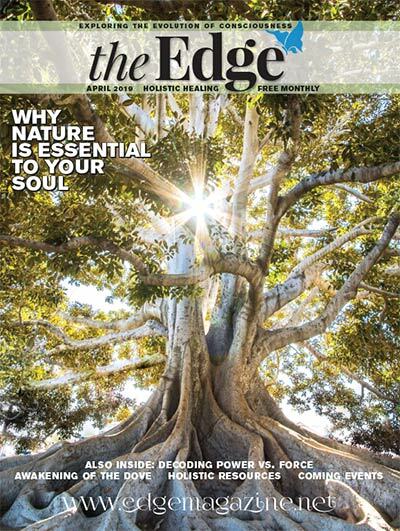 – a hormone expert, best-selling author, medical intuitive, board-certified gynecologist and primary care provider – will be at Edge Life Expo to present: the “True Healing for a Lifetime” seminar from 3-4:30 p.m. Sunday, Nov. 15; “True Healing for a Lifetime” booth 515 on November 14-15; and a full-day seminar for women only, “Is it My Hormones or Something Else?” from 10 a.m. to 4 p.m. Monday, Nov. 16. For tickets, call 1.877.776.5244, or visit www.edgelife.net.